Redbox has engaged TiVo Corp.’s Personalized Content Discovery platform, including search, recommendations and insights, to engage new customers, increase retention and enhance loyalty across Redbox.com, Redbox On Demand and physical boxes nationwide, according to TiVo. 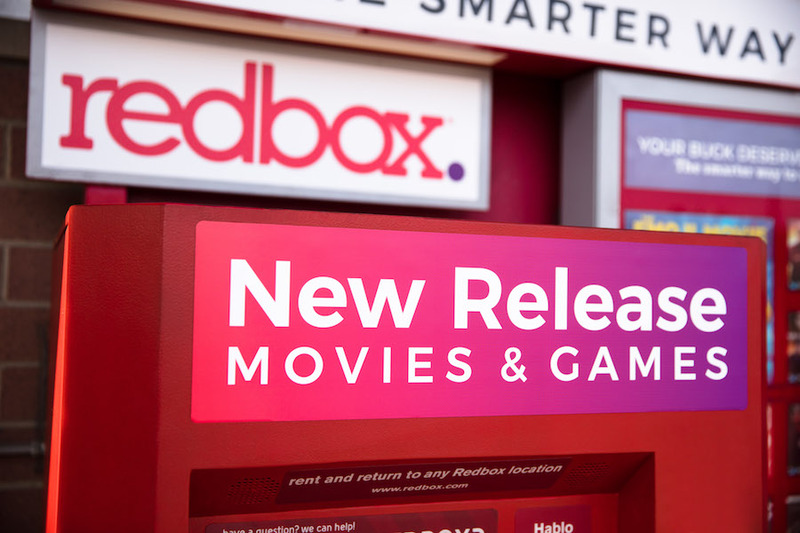 Redbox has more than 41,500 kiosks nationwide renting movie discs and games and a transactional VOD service Redbox On Demand. “TiVo’s platform enables more tailored recommendations to connect Redbox consumers with the content they love, across viewing devices,” according to the TiVo press release. Redbox will also enable TiVo’s Video and Video Game Metadata, including access to TiVo’s library of enhanced entertainment metadata and high-resolution imagery, to further personalize content discovery, according to the release. DVR pioneer TiVo reported a fourth-quarter (ended Dec. 31, 2018) loss of $288 million, compared with income of $18 million during the previous-year period. Revenue fell 22% to $168.5 million, from $214.2 million a year earlier. For the fiscal year, revenue dropped 16% to $695.8 million, from $826.4 million in 2017. TiVo attributed much of the loss to a goodwill impairment charge of $269 million in its “product reporting” business unit. 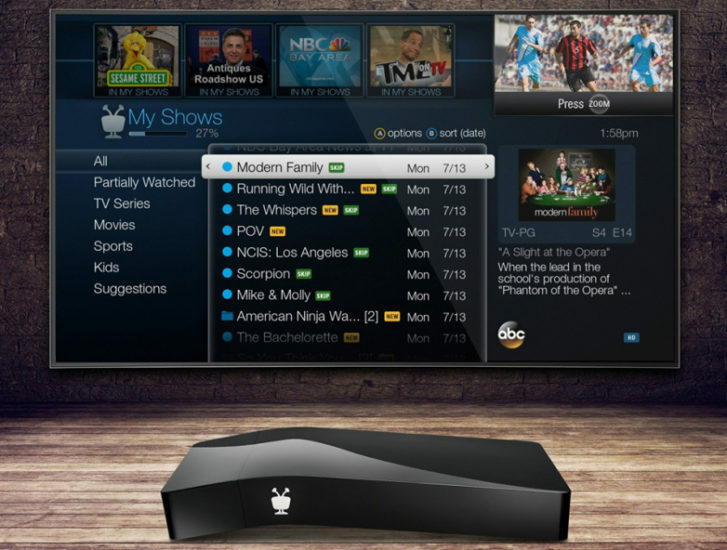 Rau said TiVo plans to launch the “Internet age” product in the second half the year. “We are very excited about the prospects for our long-term growth strategy,” he said. Indeed, quarterly revenue from IP licensing to pay-TV operators plummeted nearly 50% to $42.3 million from $83.6 million last year. IP licensing to CE manufacturers fell 31% to $8.9 million. The increase in revenue from new media, international pay-TV providers was primarily due to a $5.7 million increase in catch-up payments. “We have proactively begun working … on preparing for the possible separation of the two businesses to help address some of the complexities and potentially facilitate strategic transactions,” Rau said. He said the company hopes to shed further light on strategic plans with the goal of driving shareholder value. “We look forward to providing additional information by our first quarter earnings call,” Rau said. With more than 58 million domestic subscribers, Netflix is considered “essential” among consumers to their entertainment consumption, according to new data from TiVo. 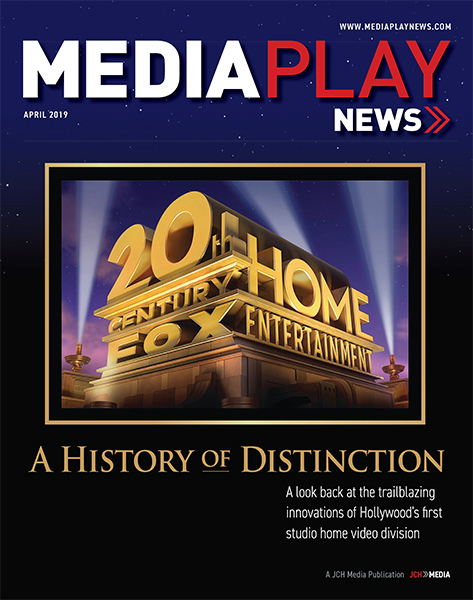 The SVOD pioneer (52.7%) topped YouTube videos (45.9%) and cable TV (39.5%) as the primary source for home entertainment, according to a survey of 4,458 adult respondents in the United States and Canada conducted in the fourth quarter of 2018. Just over 40% of respondents selected cable TV as supplemental to their home entertainment needs, suggesting consumers are divided in their loyalties to pay-TV, according to TiVo. This split doesn’t exist for Netflix, which is considered supplemental by only 30% of respondents. The report found the average household among survey respondents used 2.75 media services in 2018 — up 26% since 2017. “Live TV is still favored, but content providers such as Netflix and YouTube are gaining ground,” wrote TiVo. The DVR pioneer, which has conducted its “TiVo Trends” media analysis since 2012, found that combining Netflix with Amazon Prime Video and pay-TV was a favored (10.6%) bundle among consumers. Other bundle options included Facebook, YouTube and pay-TV (7.5%) and YouTube, Netflix and pay-TV (7.5%). Indeed, Comcast now offers direct access to Netflix, YouTube and Amazon Prime Video for Xfinity X1 subscribers. TiVo said 63.6% of respondents watch one hour or more of live TV per day, which tops OTT video (52.2%), recorded programming (51%) and live sports (45.6%). “Clearly, consumers are still turning on their TVs and watching live content every day,” wrote TiVo. The report found 69.3% of respondents use over-the-top video services while 30.7% do not. Among OTT video users, Netflix (50.4%) and Prime Video (21.8%) lead the pack among streaming video platforms. Other included YouTube TV (11.9%), Hulu (9.5%), HBO Now (7.5%), Hulu with Live TV (6.9%), DirecTV Now (6.3%), CBS All Access (5.2%), PlayStation Vue (4.4%), Showtime OTT (4.1%), Starz (3.6%) and Sling TV (3.2%). 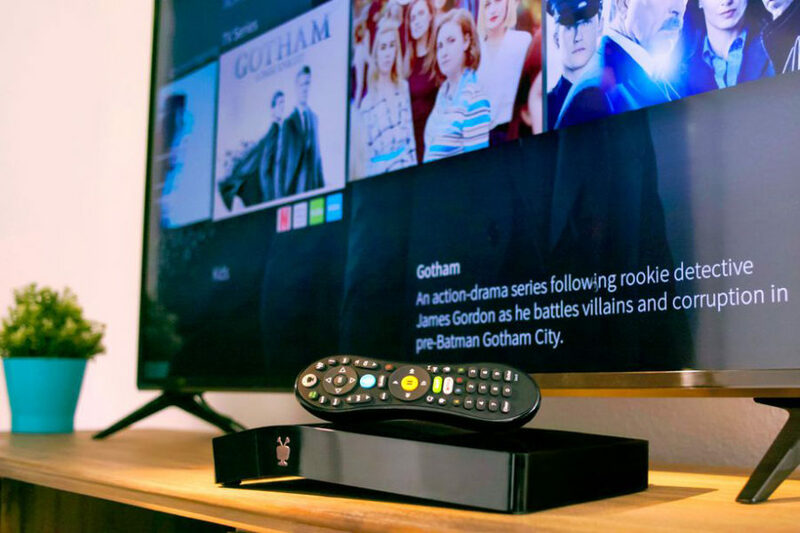 TiVo is looking to attract cord- cutters with an updated set-top box that enables users to bypass pay-TV through an over-the-air antenna. The TiVo BOLT OTA is a premium, 4K Ultra High-Definition capable set-top box designed to work with HD antenna, equipped with an on-screen user experience that looks and feels like a high-end cable box. The all-in-one home entertainment product aims to combine the features of TiVo’s legacy DVR with online streaming services. TiVo Bolt OTA allows consumers to record and watch free, over-the-air HD TV. TiVo’s DVR includes four tuners to avoid recording conflicts and stores up to 150 hours of HD programming. They can skip entire commercial breaks on recorded programs and use voice-activated technology. The set-top works with almost any HD antenna and television, enabling consumers to watch or record programming in HD using an antenna (sold separately), but without the cost of renting equipment from a pay-TV provider. The set-top combines OTT video and over-the-air access, giving consumers access on one user interface to top streaming apps like Netflix, Amazon Prime Video and Hulu. 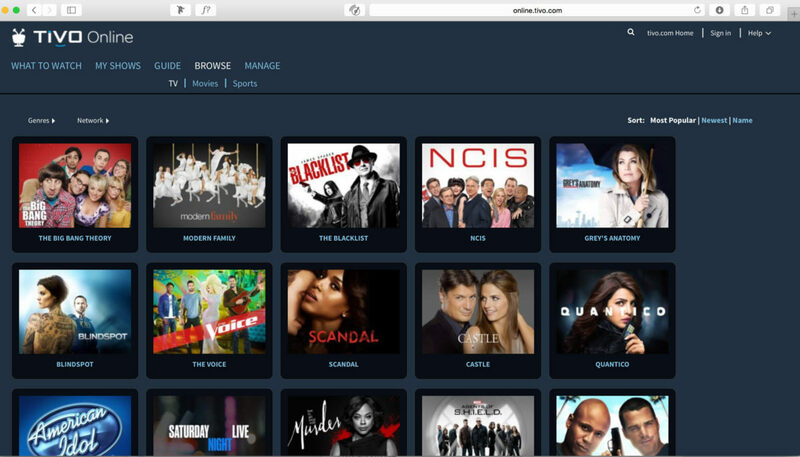 Users can search live TV, recordings and popular streaming services to deliver personalized results. Plus, they can stream and download shows to their mobile devices, watch their favorite content on-the-go, or schedule recordings almost anywhere with the free TiVo app or add a TiVo Mini for a multi-room, whole-home TV solution. “TiVo Bolt OTA is the perfect solution for a broad range of TV enthusiasts, including those considering cutting their cable TV subscription or those who might have cut the cord but are missing some programs that are only available via live TV,” Ted Malone, VP of consumer products and services, said in a statement. TiVo estimates that cord-cutters and those who intend to cut service, represent 25% of the general pay-TV viewing population. Walmart-owned online movie service Vudu.com has upgraded its Android TV app to include Sony televisions, enabling users to watch Vudu UHD titles in 4K with Dolby Vision HDR and HDR-10 functionality. 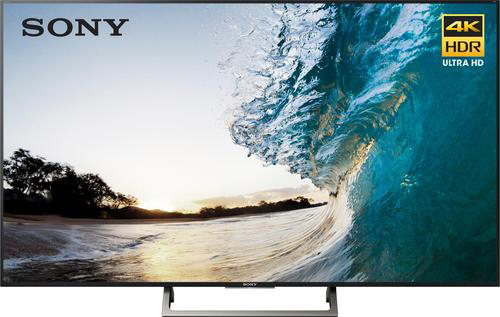 4K claims four time the pixels of 1080p with added life-like color of high dynamic range technology. Vudu currently offers 4K UHD on most TV brands (Samsung, LG, Vizio, inadddtion to streaming media devices Apple TV, Google Chromecast, Roku, TiVo, Xbox One S and Nvidia Shield video game consoles. “4K and HDR represent the best possible cinematic experience in the home – and we want to be able to deliver that experience to as many people as possible, accorss as many devices as possible,” Kristine Lopes, senior manager, product marketing at Vudu, said in a statement. 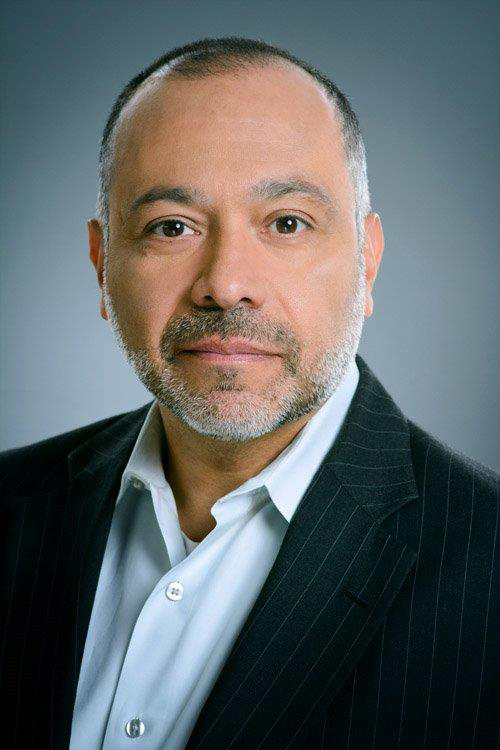 TiVo July 5 announced that CEO Enrique Rodriguez is leaving to become CTO at Liberty Global, a telecom, pay-TV operator — and TiVo client — based in London. TiVo said Raghu Rau, a member of the board of directors, has been named interim CEO, effective immediately. Rodriguez will remain at TiVo in an advisory role to ensure a smooth transition. 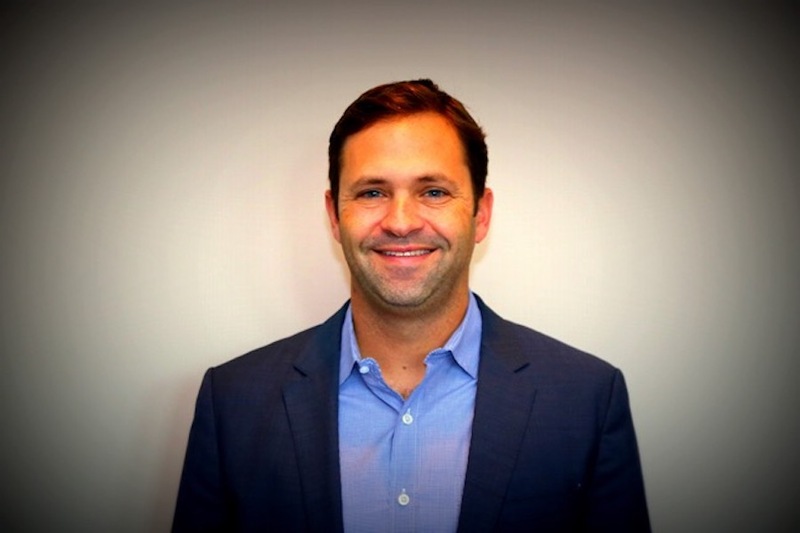 Rodriguez joined TiVo last November after two years as CTO at AT&T’s Entertainment Group. He had replaced retiring CEO Thomas Carson, who became TiVo’s chief executive after his company — Rovi Corp. — acquired TiVo. TiVo, which pioneered the DVR and now licensing myriad over-the-top and digital video technologies, said it has retained an executive search firm to find a permanent CEO. “On behalf of the board, I want to thank Enrique for his leadership and we wish him the best in his next chapter,” James Meyer, chairman of TiVo’s board, said in a statement. As previously announced, the TiVo board continues to explore a broad range of strategic alternatives to maximize the value of its shareholders – including selling the company. With its independent financial and legal advisors, TiVo said it expects to provide an update on this review by the second quarter 2018 earnings call. EIDR (Entertainment ID Registry), the source of universal identifiers for digital distribution of movie and television assets, has appointed a slate of new officers to its board of directors and has welcomed back Eric Iverson of Creative Artists Agency (CAA) to the board. Bill Kotzman, partner product manager at Google, will succeed Kip Welch of Motion Picture Laboratories (MovieLabs) as chair and will be based in Los Angeles. Kotzman is joined on the EIDR board by new president Greg Geier of Sony Pictures Entertainment, new VP Scott Maddux of TiVo and new treasurer Jeff Stevens of Warner Bros.
EIDR also has added Iverson, CIO of Creative Artists Agency, to the board. He previously served on the board in his capacity at Sony Pictures Entertainment. EIDR is a universal identifier system for movie and television assets. EIDR provides globally unique identifiers for the entire range of audiovisual object types that are relevant to entertainment commerce. TiVo, which helped create the digital video recording business, May 10 revealed it is transferring manufacturing, sales and distribution of legacy set-top boxes to a third party. The unnamed partner will be responsible for all TiVo product sales outside the company’s website, including Amazon and Best Buy, CEO Enrique Rodriguez said on a fiscal call. The CEO said that future hardware sales would be facilitated through the partner, with TiVo acting as a distribution channel. The change should have little impact on consumers. “Basically, the consumer will continue seeing a TiVo-branded device … with TiVo software that they have known over the years,” Rodriguez said. He said Amazon and Best Buy are better suited to sell hardware than TiVo, which was acquired by Rovi Corp. in 2016, with Rovi assuming the TiVo corporate name. “We’re very confident in [the partner’s] ability to succeed there,” Rodriguez said. Indeed, TiVo generated the bulk of first-quarter (ended March 31) revenue ($189.8 million) from licensing, services and software ($186.1 million), with hardware generating $3.6 million. 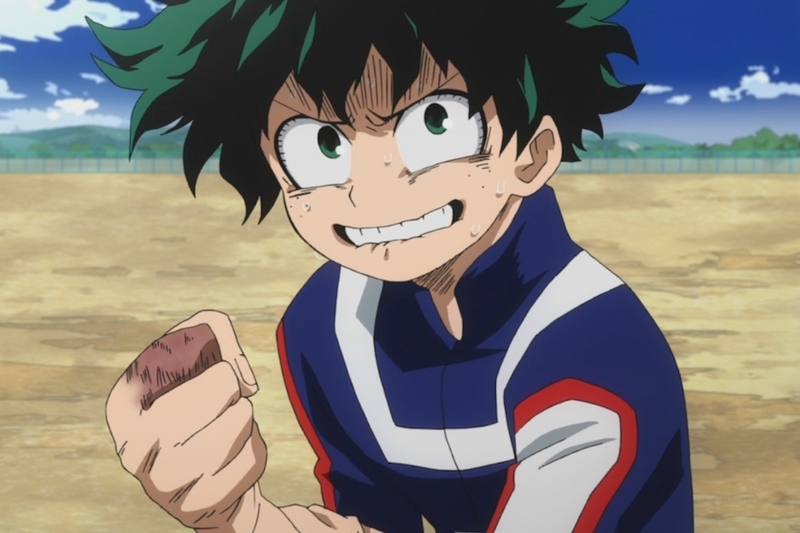 The tallies trailed year-over-year total revenue ($205.7 million), licensing, services and software ($190.5 million) and hardware ($15.2 million). TiVo is also exiting so-called non-core revenue channels, including Legacy TiVo Time Warp IP deals, hardware and analog products. Indeed, non-core revenue declined $25.7 million in the quarter compared to the previous-year period. Finally, TiVo cut its fiscal loss in half to $17.7 million from $34.6 million last year. Home entertainment technology pioneer TiVo April 3 said it signed a long-term intellectual property license agreement with Starz. Lionsgate-owned Starz is acquiring a license to the TiVo patent portfolios and over-the-top video assets of the “intellectual ventures” patent portfolio under the TiVo/IV licensing partnership. “This agreement emphasizes the importance of TiVo’s patent portfolios, especially for companies who are working to keep up with rapid developments and changes in the OTT video space,” Arvin Patel, EVP and chief intellectual property officer, Rovi Corp., a TiVo company, said in a statement. TiVo, which created the digital video recorder market in 1999, has spent decades investing in R&D to enhance digital distribution technologies for the media and entertainment industry. In 2016, Rovi acquired TiVo for $1.1 billion, incorporating the TiVo name as its new corporate identity. Between the two companies, they reportedly hold more than 6,000 patents used in practically every aspect of consumers’ day-to-day interaction with their entertainment. “By leveraging [our] innovations, TV networks and other OTT [distributors] can quickly strengthen or upgrade the entertainment experiences they provide and in turn, spend more time and energy focused on other business priorities,” Patel said. Indeed, patent litigation has proved to be a lucrative side business for TiVo. The company has been awarded by courts more than $1 billion in patent settlements through 2012. 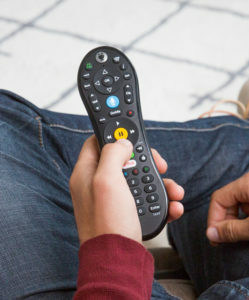 Earlier this year, TiVo filed a lawsuit against Comcast, alleging the pay-TV operator’s X1 set-top infringes technology invented and patented by Rovi, including pausing and resuming shows on different devices, restarting programs in progress, advanced DVR recording features, and advanced search and voice functionality.